This Fixed Magnification Camera adapter set works with all DSLR & Mirrorless Cameras and will fit most popular Ocular ports. The 2X magnification can even handle Full Frame sensors without Vignetting. Directly fits 23mm Ocular and Trinocular Ports. 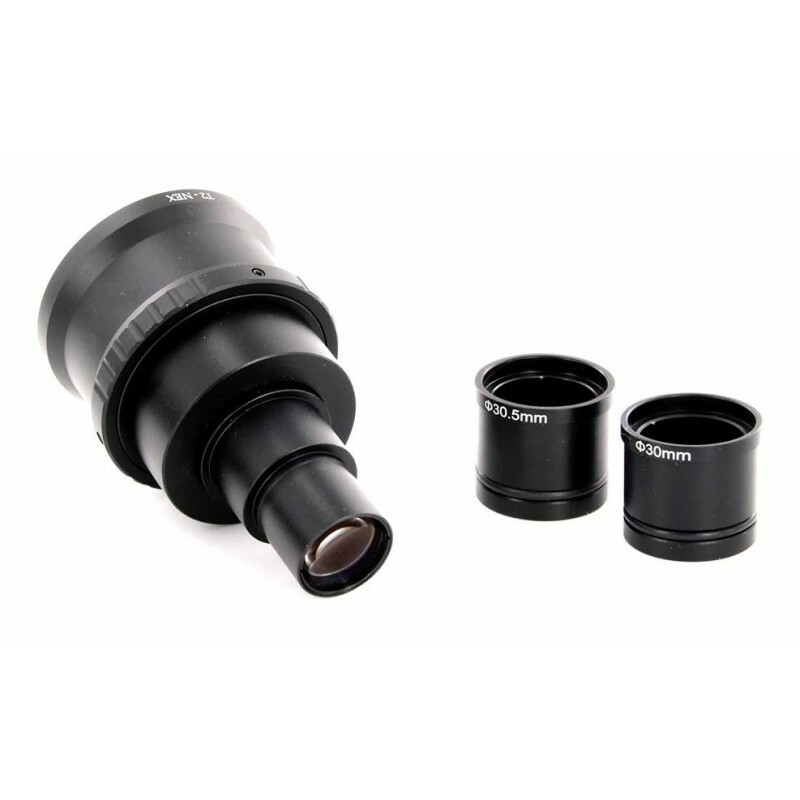 This Fixed Magnification Microscope Camera adapter set works with all DSLR & Mirrorless Cameras and will fit most popular Ocular ports. The 2X magnification can even handle Full Frame sensors without Vignetting. High quality Fully Multi-coated optics with blackened edges produce high contrast images. Directly fits 23mm Ocular and Trinocular Ports. Includes adapter sleeves for other common Ocular Ports (30mm and 30.5mm). Will not fit threaded C-Mounts. Appearance may vary depending on Camera model (Sony E Mount version pictured). One Camera Ring is included, additional rings for other cameras are available (see our T-Rings page).